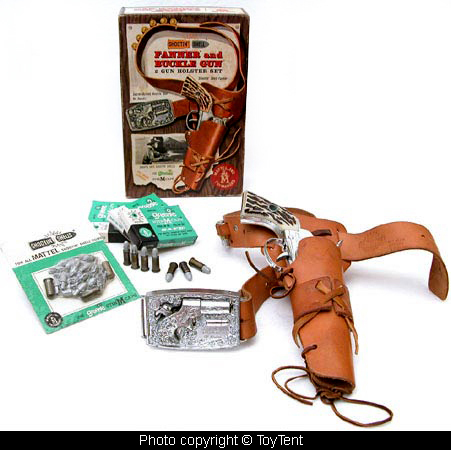 Leather holster holds the Fanner cap pistol and 6 play bullets. Remington Derringer buckle gun fires from the waist and can be removed from buckle. Gun fits snug in holster, safety latch keeps gun in place, release for surprise action. Fanner cap pistol measures about 10"